Here’s a quick overview of some of the new things in Cinnamon 2.4. A lot of care went into attention to details and Cinnamon 2.4 received many little improvements to make your experience smoother and more enjoyable than before. Note: This change is accompanied by a new “Slideshow” applet. Add it to your panel to quickly pause/resume the slideshow or to skip to the next desktop background. The Nemo toolbar was redesigned and the presence of its button were made configurable. A new button (hidden by default) was added to open a terminal in the current directory. Along with folder-color-switcher, another project maintained by Linux Mint (credit goes to Marco Alvarez Costales and the Elementary project for their work and ideas on respectively customizing folder icons with colors and presenting context menus better in the file browser), Nemo now allows quick customization of folder icons. You can give them colors, emblems and basically make them look different from one another to quickly recognize or organize directories the way you want. Finally, the sidebar is also improved, with highlight effects on hover and a smarter dynamic bookmark section. Your custom keybindings won’t work in Cinnamon 2.4. To migrate them to the new Cinnamon settings, open a terminal and run “/usr/bin/cinnamon-desktop-migrate-mediakeys”. (note: Support for this migration was added in cinnamon 2.4.1, cinnamon-settings-daemon 2.4.2, muffin 2.4.1, cinnamon-desktop 2.4.1. If you already upgraded to 2.4.0 you’ll need to set your keybindings manually again). Unlike Applets and Desklets, which use an API, extensions act directly on the core Cinnamon source code. For this reason they need to explicitly specify which versions of Cinnamon they’re compatible with. Since Cinnamon 2.4 is brand new, many extensions either haven’t declared their compatibility with it yet, or aren’t compatible and need to adapt to the new code. If an extension isn’t working or is refusing to install, please contact its author. Looks nice, I am especially happy with the background slideshow! Quick question, is this build compatible with Gnome 3.12 or 3.14? Right now if you are running Cinnamon 2.2.16 with gnome 3.14 programs and use a dark theme the menu items in programs like evince and gedit become unreadable (the text colour changes but the background colour doesn’t). I use Arch Linux, and ignoring packages update because of this. Not the best solution. It should work with both and we’ll accept bug reports for any version of GTK. With that said, most of us run 3.10 here, that’s what we develop and test with most of the time. In preparation for LMDE we’ll also be joining on the fun to debug 3.14 support, but that’s for later (for me anyway). libtoolize: putting auxiliary files in AC_CONFIG_AUX_DIR, config'. libtoolize: putting macros in AC_CONFIG_MACRO_DIR, m4'. Note to self: don’t use – the parser eats the text. is there any bug fix release planned before the mint 17.1 and if there is any scope to add new fetures. i have some of the suggestion i would like to see. No release per se, but yes, we’ll be fixing bugs on 2.4.x. I’m running 17, I have Romeo activated, but I don’t see an upgade option? I’ve activated Romeo in the Update Manager and nothing, no new updates. Then I’ve updated the cache but nothing again. I’ve refreshed, and nothing. Tried a sudo apt dist-update && sudo apt dist-upgrade, and nothing. I went back to the Update Manager, selected Edit and Software sources, and then pressed the Maintenance button on the left, and then pressed the Purge residual configuration button. This might have been it. Refreshed again and it finally gave me a new update. Really good changes there :) Can’t wait to try this! Thanks for the hard work. Thank you so much for adding privacy settings as I longed wanted that settings! What do you mean by Romeo? I can see it in update manager settings but is it full of new software from Linux Mint? Will Mint-x colors be in the final release? Excellent improvements. Looking forward to trying it. Thank you. Honestly, if the only improvement/addition was the wallpaper slideshow. I would be completely satisfied. With the changes in Notifications, is is now also possible to disable the OSD (big display like when changing volume or brightness)? I would love that, often using Mint for public presentation (the public doesn’t need to know I’m changing brightness on my screen for instance). No, but that’s a good idea and it’s probably pretty easy to implement. I’ll add it to the roadmap. Clem, I remember seeing lot of requests for this on github as well – just sharing links here in case you wish to add any planned tags. It would fit under “Notifications”. How about an option to customise it? Different themes, or different colours. That’d be fantastic, ’cause the current one is ugly. Ok, it turned out not to be trivial at all :) We’ll look into it for 2.6 though. Hi Clem. I’m using right now, and I i think that cinnamon is consolidating itself as the best desktop environment. I know that’s not priority, but the one thing i need to adjust in order to make cinnamon perfect, is change the icon set. I’m using Numix-icon-circle. That’s the one thing that need a little attention. Despite this, Congrats for the great Job! 1. Adding “Go to the next background” to the right click menu on the desktop can allow skipping current background easily. 2. Adding “Customize emblems” to the right click menu on a folder can allow tagging any folder with different emblems easily. Awesome work and looking forward to the final release! 1. That’s there in the Slideshow applet, no need to clutter the context menu. Looks like another great release. I’ve been meaning to ask you this for a while now, is there any future features/improvements roadmap for Cinnamon/Mint which can be shared with us? The milestones doesn’t have to be set all the way up until 16.04 but something like for the next 6 months? ‘Cause the upcoming changes are awesome. Gives an idea of some of things that are being looked at. Clem and team, first impressions of Cinnamon 2.4 are all good. Thank you for the extra polish and the added features. One query about the Accessibility menu. I just noticed for the first time that there is a “Beep on Caps and Num Lock” option under the “Seeing” tab in Cinnamon 2.4 (its in the current Cinnamon 2.2 as well, I just never saw it before). I enabled this “Beep” option but it doesn’t make any sound when I use those lock keys, either in Cinnamon 2.2.16 or in 2.4. Have tried this on 4 desktops and a laptop without success. Its not clear to me whether the original feature was meant to invoke the “bell” on the mainboard speaker, or to use the desktop audio system (the latter would be preferable, and that’s what Windows does). The intention is that pressing CAPS LOCK on or off would make a sound. In Windows they have two different sounds – one for “on” and one for “off”. Looking at a few bug reports, this feature seems to have been broken in Ubuntu for several years. I just checked it with a Ubuntu 14.04 live CD and it definitely still does not work. Its a shame, as this feature would not only be useful for people with accessibility needs, but for everyone; after all its easy to accidentally bump the Caps Lock key without noticing it. The caps lock indicator light on most keyboards is a piddly little thing at the opposite end of the keyboard (really clever! ), and on some laptops it is absent or is a micro-LED tucked under the lip of the laptop so you have to hold it up to eye-level to see the damn thing (there should be a special hell for the people who designed that ‘feature’). The various Ubuntu bug reports about this issue don’t seem to have received any serious attention. There is a “fix” mentioned here: “http://askubuntu.com/questions/233970/can-i-make-my-ubuntu-make-sounds-when-i-press-caps-lock-etc” (I have not reproduced the content of that article as its rather long). I have not yet tried that suggestion but it may be of interest. If your team is able to come up with a fix for this in time for Cinnamon 2.4 release, that would be great. But I realise it may be a bit complex in which case hopefully it could go on the roadmap. Clem, just a PS re this. If it can’t be fixed in time, can it be removed for the time being. I just looked at Ubuntu MATE 14.04 and it seems to me they have done just that. another PS: That should read Ubuntu MATE 14.10, not 14.04. One of the downsides of extensions is that they are designed to work with specific Cinnamon versions. You can add “2.4” to the cinnamon-version list inside the extensions metadata.json file. It’s still possible that it would need other tweaks to work with the new version however. Thanks JosephM, but that didn’t work (adding ‘2.4’ at metadata.json) so I asked here about Extensions. Vladimir by disgrace, Cinnamon can not be fully conservative when you try to improve certainly features. I’m very happy with the performance improved and also with the better error handling of the new version of CJS, but this change broken all my Desklets and Applets, and i need to do more work to be operable again in the new Cinnamon version. You need to separate what it’s the objective of Cinnamon, and what it’s not. What you want, could be a request to the author of this extension. I hope that like the Cinnamon devs, he also want to improve her extensions. Vladimir You do some thing wrong with Desktop Scroller because adding ‘2.4’ at metadata.json is working for me. there is a bug. It’s not possible to use Super_R for keyboard shortcuts anymore. And yes, I deleted the Super_R key in the Menu settings. I had the same issue here. After troubleshooting it I’m not sure it’s related to Cinnamon though. 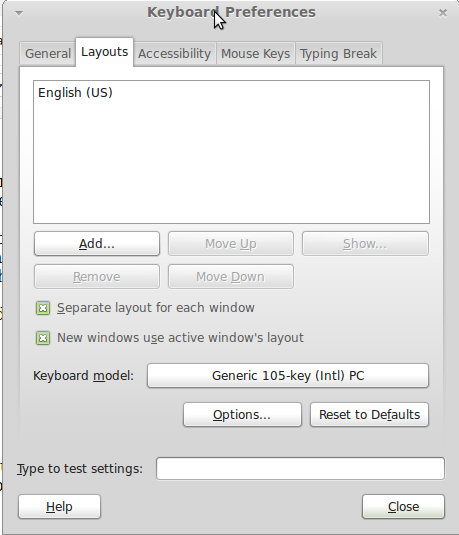 – Make sure Super_R isn’t used for anything in the Xkbd options (Settings->Keyboards->Layouts->Options button). – Remove it from the menu config (you already did that). – Remove your layout and re-add it again. – Check with xmodmap that Super_R is present. amazing as usual. your team is right to be proud of this. As there are no comments about this, unless you will be able to know and usually authors do things that are for linux and not for Cinnamon, which although looks very good, breaks with convention and creates an unnecessary separation and low support for third-party themes in Cinnamon. And I wonder how long it will take up that theme authors take in accounts for the case of cinnamon also need to do what the readme says and I wonder if they will really do it or was going to forget that there are in cinnamon an special case. .. That’s what I think will happen to the majority. This appear to be included by use “unknown.png” at the end if not image will found… So not objections… Excellent. Thanks to all involved, all changes mentioned look nice. On the other hand, there is still a problem that could be addresses and bugs me besides the responsiveness. Too many dependencies and programs that cannot be removed without removing cinnamon. Just to mention one, my I don’t have bluetooth in my laptop, but still cannot remove bluez and everything related to bluetooth programs because is warns you that it would remove cinnamon. This is the first examen that comes to my mind, because usually when I install mint, startup time is slow compared to Ubuntu with Unity (and of course, I prefer Mint, but I don’ t understand why Ubuntu with Unity -which is heavier- loads faster). First off. A great job done by all. Everything updated to 2.4/2.4.1 as it should have. Now, I know I must be missing something but there’s two things I can’t find how to do. Both involve Nemo 2.4. First, I see no way to add emblems to folders. There’s still only 3 tabs in the properties window for any given folder. Searching in Synaptic there’s no “nemo-folder-color-switcher” or “nemo-emblems” packages. That is, if there should be. However, there is a “nemo-folder-color-switcher” available at the Linux Mint packages site (Rebecca). Install nemo-emblems (that’s part of 2.4) and to install nemo-folder-color-switcher (and folder-color-switcher) you’ll need to wait for Mint 17.1 or to get it from its repository. The update you got in Romeo today is just Cinnamon 2.4, not the entire bunch of updates and new packages you’ll get with Mint 17.1. Clem – Thanks for the reply. It makes things a lot clearer. I’ll wait for 17.1 then for the rest of it. Of what bits of 2.4 that are installed I haven’t found a problem yet. And it makes the Cinnamon DE appear and feel that much more mature. I found something a bit odd about “nemo-emblems”, “folder-color-switcher” and “nemo-folder-color-switcher”. Installed in Linux Mint 17/Cinnamon 64-bit (updated to 2.4), adding emblems and changing individual folder colors work as they should. However, when the same 3 packages are installed in 32-bit edition, it’s as if they’re not installed at all (No “Emblems” tab in folder properties and no folder color options in the right-click menu). All 3 packages installed without an error as they did in the 64-bit edition. As you said, the above two functions are more a part of 17.1 than the romeo update to Cinnamon 2.4 but I thought I’d post this anyway. Was anything done about the multi-user issue? User 1 starts up machine, uses it, walks away. Mint times out and locks. This has been a very annoying bug when trying to switch to a Mint only setup. Has anyone else noticed this? Is there a work around? Something very similar was fixed in MDM for Mint 17.1 yes. It’s explained here: https://github.com/linuxmint/mdm/issues/90. This is outside of the scope of Cinnamon though. congrats to the team! it seems a great release! I just want to point out that the alt key to access the hidden menu in nemo conflicts with the alt+tab windows switcher. It doesn’t make it unusable but it is annoying. In my opinion the ability to search for windows would be a really useful feature to add. For example, in the workspace overview/windows overview typing “firefox” would show ony the firefox windows. Same thing happened to me here. I’ve noticed that the update involved removing Cinnamon. Found it quite strange but acknowledged it. When I logged out I had just a black screen, and after reboot I had a black screen with an error message (sorry, it’s late and I’m tired, can’t remember…), and I remembered the Cinnamon removal. Reinstalled it and pronto! Message “Xsession : unable to launch “cinnamon-sesion-cinnamon” … faullingback to default session” and then no way to log in. This was the error I was having too. Thank you Herisson! I see in your roadmap that you want reconsider put pipelight to mint. I think is bad decision because this app heavy charges cpu and gpu. FreshPlayer wrapper for (PAPPI) flash player from Google Chrome (witch is native for Linux) for NPAPI web browsers. From time to time I try a new DE experience but I always come back to Cinnamon! Great work and thanks for your work! A small request for Nemo: is possible to have in the main bar the icons for COPY/CUT/PASTE/TRASH/UNDO? Thanks for asking for this first, I am really craving for this for years (got used to it on Win XP) and I was thinking about suggesting this too. The configurable toolbar is an awesome plus, thank you so much! Please consider Mauro’s suggestion. I undersign it! Can you please make Cinnamon Menu resizable, the ability to select or deselect pictures in background slideshows, the ability to receive email notifications on the desktop and the ability to remove the Lock,Log Off, Power from cinnamon menu please. Using Cinnamon 2.4. Looks like excellent release! Especialy thanks for compositing options. However I suppose it can’t work for games in ‘borderless windows’ mode? Is there any update for multi monitor users? Secondary panel applet on second or third monitor? – I have two monitors right above each other. In gnome shell I can use the top right corner of both screens to toggle activities and on my bottom (main) screen there is some kind of ‘border’ around it to make it easier to hit the hot corner. – When toggling ‘only use workspaces on primary display’ expo should only show the primary display, now expo is pretty cluttered. When using workspaces on all displays expo could also be improved (show two rows/grids, one on each display). I like Cinnamon. There are lots of features and improvements on every release. Looks like excellent. Thanks to all developers team. Greetings. Thank you for update! It’s awesome! But I have a question. How can I change keyboard model? Mate has this option: http://2.bp.blogspot.com/-CSz24jMQnas/Um-ounR3oxI/AAAAAAAABmc/wj1h74sAX3E/s1600/MATE1.png But what about Cinnamon? I can’t find something like this. I have a shortcuts’ problem with my Apple Aluminium Keyboard. There is a small bug in the menu that pops up after right-clicking the panel in an rtl interface, such as Arabic or Hebrew. The items in the menu are properly aligned to the right, but when you hover over them with the mouse they jump to the left, and jumb back to the right when you move the mouse pointer away.. I find a bug. Switching theme from the pop up “add/remove desktop themes…”, dont refresh the themes after closing the pop up. Steps to reproduces: Open themes. Open the “add/remove desktop themes…”. Change cinnamon theme. Close the pop-up. The desktop isn’t update. Hi – I had reported this earlier below and suppose dev. team member is aware of it. IMO, the ‘Apply’ button can be knocked off from the pop-up dialog given that the selection is available in main window itself. Popup window could be dedicated only for Installing /Uninstalling / Restore. Maybe, both tabs could be clubbed into one. Another bug that I found is in the options of downloading applets, desklets and themes (although the last one is kind of random) doesn’t show the window of “loading” and updating cache if you update. Sam – I checked this on two machines that had been updated to Cinnamon 2.4 and I’m not seeing this. The “Loading applets” and “Updating cache” dialog boxes show up and work as they should. I’m using the default Mint-X theme for everything only changing to folder colors and “Controls” to Mint-X-blue. This may be theme related. Your image shows you using a dark theme so I suggest you temporarily switch your theme(s) back to the default Mint-X and check again. If the “Loading applets” and “Updating cache” dialog boxes show up with the Mint-X theme enabled then you know it’s your theme that’s causing the problem. Maybe could be a merge of two things… Apparently sometimes if you have a good connections(or some else) the data will be retrieved faster, and Gtk, don’t have time to update the dialog, but really i don’t know. Excellent version. I liked it. Thanks developer team. Ah ben oui.. (bon je vais etre fair-play, je m’attendais a une certaine aigreur.. voici une nouvelle version d’un produit developpe par Mint et il n’est pas disponible dans une de ses 2 distros). Alors, point de vue comptabilite Cinnamon 2.2+ requiert GTK 3.10 (on a eu besoin de faire ca pour le support HiDPI). Donc deja, ca veut dire qu’on reste en 2.0 sur UP8. Ensuite, au niveau de Betsy, on ne parle pas encore de distro mais simplement d’un depot de paquet, les choses vont commencer serieusement a partir du moment ou Debian freeze upstream (ca se fait en ce moment ca) et a partir du moment ou on se libere de la release immediate de Rebecca (compter 2 semaines pour la RC). Pour l’instant Betsy est en 2.2, elle devrait etre compatible avec la 2.4, on s’attend a des regressions dues a systemd et gtk 3.14 mais on reglera tout ca sur la branche 2.4.x. Under Mint 17 (64 bit on Dell E6410), I did the update as described. I remember a window asked me “something” about Cinnamon during the install and I said “yes” and now I can’t entry in my session. I guess I have remove cinnamon but how to reinstall it in CLI ? Answer to myself (and perhaps an help for others) : CTRL-ALT-F1 on login screen and then a “console session” is open. Id and password, then “sudo -i”, “apt-get update” and “apt-get install cinnamon” then reboot and it works ! one annoying thing, when i hover desktop menu, highlight of text and icon are separate! Not sure if I understood this correctly, I suppose your issue is that you are seeing hover on both Menu icon and label.Are you saying the hover effects are distinguishable? I guess, they should behave as if they are one component. https://github.com/linuxmint/Cinnamon/pull/3429 – I think, this is the related commit which brought hover to both label and icon. sorry for my bad english, yes, i realized this is just for default Linux Mint theme, not actual cinnamon theme. After the launch of Cinnamon 2.4 one message is shown: One applet has not benn loaded. Looking-Glass notes “bluetooth@cinnamon.org”. Reason: It is not installed under /usr/share/cinnamon/applets/. I do not have bluetooth on board. I cannot tell what is in the Arch package of cinnamon, sorry. I cannot disable this under system-applets, because it is not in the list. I did not install NetworkManager and this is in the list. No problem for me. Thanks and keep up the good work. This package isn’t compatible with the latest gnome-bluetooth (see https://github.com/linuxmint/cinnamon-bluetooth/issues/9), so it’s probably not installed on your system. How to install it on linux mint 17? Please check below for instructions. What about a blinking logo (like compiz splash) as a welcome screen for Cinnamon 2.4? I guess this would only add beauty to the desktop and assure users while they are waiting to for it to load. nice to see. I hope LMDE and Betsy will receive this update soon. At the moment my biggest problems are instant messanger which steal the focus always. and the workaround causes problems with the integration and alert in the taskbar. Skype is already fixed, but Psi and Psi+ or RetroShare or Quassel are causing the same headache when i use them with Cinnamon. hopefully this receives soon some love and attention too. With 2.4 I get some very strange behaviour in full-screen mode. Some games (tested in Legend of Grimrock, native Linux version and some Windows games via Wine) have trouble setting full-screen resolutions correctly. My monitor is 1680×1050 native resolution. If I set the games to use lower resolution (say 1440×900) in fullscreen, the GPU switches to the new resolution, but the desktop doesn’t – meaning the resolution of my monitor is now at 1440×900, but the entire area is still at 1680×1050. When I move the mouse to the borders, I can scroll through the entire area (which will consist of the game at 1440×900 plus black borders around the game window. I’m using a GTX460 with the 331 proprietary NVidia driver from the repository. But do get an error message Gio Data Inputstream.new is not a constuctor, suspect it has to do with the desklet Sticky Notes,notes won’t be saved anymore. does cinnamon 2.4 contain the possibility now to switch the panel to left or right side of the desktop (the most monitors and notebooks nowadays has a 16:9 display format)? As far as I can tell, unfortunately not. Can’t see a link for bug reports so presume we add to comments here? Running Mint 17 64bit with Cinnamon 2.4 on a Lenovo Thinkpad T520 core I5 with 16GB RAM. Since upgrade I notice boot time substantially slower. Timed at 44.9s from entering on login password to desktop being available. This is about twice as slow as previously. This is on a HDD with full disk encryption via LUKS in case that makes any difference. Im using Minty theme and IEOS7 icons and the Logout and Quit buttons in menu show as nearly invisible – black icons on nearly black background which was not an issue before. Hovering over them they are more legible and its not a deal breaker by any stretch but thought to raise it in any case. Nero-emblems don’t appear to be enabled, is this coming only with final relase of Mint 17.1? Lastly I’m seeing some delays in left mouse-click, sometimes which shows the right click context menu instead. This is only happening intermittently. If I can reproduce regularly I’ll post further. Can I ask a quick question: why has the timeout been removed from the logout dialog? The 60 second “countdown” feature (for logging out, shutting down or restarting) is actually a feature I like. This has saved me on several occasions (e.g. when my KVM switch became unresponsive, the video display became corrupted, or a wireless keyboard/mouse lost the connection, etc – just push the power button and you knew the system would automatically shutdown in a minute’s time). Without it – if you can’t use the keyboard and/or mouse for some reason to shut the system down, then you have to force a power-off by keeping the power button pressed until the power is cut – NOT a good idea. So personally I think it would be good to keep this feature – even if it was a “tick box” option somewhere in System Settings to turn it on (i.e. optional) or specify the timeout period. I was annoyed when they removed this feature from the Unity logout/shut down dialog in Ubuntu. PLEASE DO NOT REMOVE THE LOGOUT TIMER! I 100% agree with Adam! He wrote exactly what I have been thinking regarding the logout timer removal. The logout timer has saved me and my system from a lot of reboots. It is good to have the logout timer, when your system freezes completely and you cannot even move your mouse or keyboard. So then the only rescue is the logout timer!!!!! I’m sorry but this feature makes no sense to me. If you want the computer to shutdown when you press the power button, there’s an option for that in the power settings. If that doesn’t work (I heard there was a bug on this) then we need to fix it. But having a countdown on a dialog window certainly isn’t a good solution. I actually like the idea of having a dialog window appear when you press the power button: it gives you a choice of action, and also a chance to cancel shutdown (the number of times in Windows I’ve pressed power button to shutdown, then regretted it as remembering I wanted to do something else… so had to restart again!). HOWEVER… what happens if, for some reason, you can’t use the keyboard or mouse? (It has happened!) Or the display is corrupted and you can’t see the dialog properly? Yes, this shouldn’t happen, but it has done. (Hey, this is Linux, and until all hardware is 100% compatible, which will never happen, then my guess is that sometimes problems will occur). This is when a timed shutdown has saved the day for me – more than once! Is it possible to have the power button run a specific program? That way, those of us who like the old timer could run the old logout dialog? I forgot to add, thanks for making Cinnamon into a very nice Linux Desktop environment. Sorry I don’t mean to offend: I’m just sorry to see the loss of what I have found to be a very useful feature. I understand the frustration, I feel the same way when that happens to me. I still don’t understand why this is useful though..
Say you lose your keyboard/mouse/display.. in 2.2 you’d press the power button and wait 60 seconds for it to shutdown, with no way of canceling the action (since you’ve no keyboard/mouse.etc..). Say you lose your keyboard/mouse/display.. in 2.4 you can’t shutdown (it’s stuck at the dialog). But you can access the console (CTRL+ALT+F1) and either “shutdown” from there or “sudo service mdm restart” to get back on your feet without rebooting. Say you lose your keyboard/mouse/display.. in 2.4 with the button set to shutdown immediately, you press the button and it shuts down immediately. I understand you don’t like this feature since sometimes you find yourself pressing the button a little too fast. So I’m left with the case where you can’t shutdown using keyboard/mouse and where the dialog pops up when pressing the power button. This is a special case where you’ve lost your display, your keyboard or your mouse. I understand you don’t like pressing CTRL+ALT+F1 and working from the console, but we’re not in a normal use case here, we’re in troubleshooting mode, working around a bug we have to fix rather than ignore. Also, to be completely honest, say Cinnamon freezes/crashes on you, and we’re looking for a good way for people to get back on their feet, I don’t want the computer to reboot, I want to just restart Cinnamon and preserve the session (cinnamon-wrapper is an attempt at doing that). Thanks for your explanation Clem, those are good reasons in general that you give. However, in this case you can’t shutdown at all, because you can’t access the console via CTRL+ALT+F1 (let alone “sudo service mdm restart”) as the keyboard isn’t working! (I guess you could SSH in, but if the PC doesn’t have a static IP, not so easy). So the only option is to hold the power button in for several seconds, until the power is forcibly cut – but this could cause file or filesystem corruption, in theory at least, so is not ideal. Anyway, thanks again for your response. All I know is that my KVM switch (Keyboard+Video+Mouse, not Kernel Virtual Machine!) that I use to share a single keyboard, mouse & screen between 2 PCs, does occasionally become unresponsive, so the timed shutdown has meant that I can shutdown my computer gracefully (and plugging the keyboard in directly didn’t resolve the issue!). So I have found it useful in the past. Also, I’m guessing that most hardware issues (KVM failure, display corruption, etc) are upstream of Linux Mint anyway. Thanks once again for your continued hard work on improving Cinnamon & Linux Mint: I’m really looking forward to version 17.1. Well I tell you what. We just spoke about this within the dev. team. I’ll be brutally honest here, I really thought that feature was ridiculous and I was happy to see it gone. With that said I don’t take any pleasure in annoying people, quite the opposite. Corbin will take the lead on this and come up with a pull request. If all goes well I’ll merge this into 2.4 in the days to come. After that is done we’ll still disable this feature by default but you’ll be able to configure Cinnamon to bring it back. Yes it’s the perfect solution: to disable it by default, so that to all intents it is invisible: but for those of us that it has proved useful for, we can enable it if/when required. I really can’t wait for 17.1 to come out: I’ll be testing both Cinnamon 2.4 over the next week, and later the RC of “Rebecca” when it’s available. OK it’s back in. The timer and its delay are now configurable (by default: OFF and 60 seconds). You’ll find them in the General section of the System Settings as soon as we update the package. Credits to Corbin for the quick reimplementation. Fantastic – thanks Clem & Corbin for this! That sounds like the ideal solution for implementing this timer. It also shows why Linux Mint is the best Linux distribution in my opinion (and Cinnamon probably the best Desktop Environment), when the developers always aim to try to help & accommodate their users (if/when possible). Good luck with the release of Cinnamon 2.4 (and Linux Mint 17.1 in due course). Thanks to you Adam. For sticking to your guns first, and for being patient and explaining why that feature was missed. 6 months looking at it from a developer’s point of view, sometimes you get pretty sure about things and you don’t take into account what some people might miss. I’m still really happy about removing this feature by default though (I really think it’s better for most people now that it’s gone), but it’s my pleasure (and credits to Corbin again) to see that you’re able not only to bring it back with a click of a button but also to configure its delay. In the end of the day it’s all about making something people will enjoy even more than before so I’m happy we had that exchange and we got to this outcome. Thanks Adam, kind regards to you too. Also note that I added a progress bar for the timer (thanks to MATE team for that code), so you can have more of a visual on when your computer will shutdown. It was not about our desire to press the power button to have the system SHUTDOWN. It was about working with lots of (browser )windows and other programs running and your system suddenly starting to lag and then FREEZE completely with no way to even move your mouse! So after some time of pressing “CTRL+ALT+DELETE” the dialog would appear where you COULD(if possible!! )press the logout button and then quickly log out and log back in, so that you do not need to restart the computer and lose your work in progress. However, with no option to even move your mouse to CLICK on “logout” in the dialog, the only hope was waiting for the 60 seconds to run down and have a logout. So you get the point now? But sometimes you just have too many browser windows open and music running and perhaps nemo open…so you ignore that lag and THEN the system FREEZES and your HDD loads like crazy and you cannot move your mouse…so THEN if you press CTRL+ALT+DELETE, SOMETIMES you are lucky to finally have that dialog box appear after a very long time(!). However, even when it appears, you can still NOT click on “logout”, so the only rescue is the 60 seconds logout timer…THAT’S why we asked for the timer not to be removed! Or maybe you can fix that bux, as I have more than enough ram..so I don’t know why the system thinks it is running out of ram and starting to lag and then freeze totally! How about making the power button execute a logout or execute “sudo mdm service restart”….I doubt that anyone (especially linux newbies) will know about CTRL+ALT+F1 and “sudo mdm service restart” as you suggested…and also: in the current power settings there is now option to select “logout on power button press”..there is only suspend/hybernation/power off/ask…. I like the idea of adding a logout option for the power button. With that said, the developer inside me is wondering why you’re getting to a stage where your CPU isn’t doing what you want, or why you’re leaking memory… that’s really what I’d like to fix in the first place. I think some “rescue option” would be good, i.e. having the option to select “force log out on power button press no matter what”. As I have already mentioned, this sudden lag occurs as soon as I add one more browser tab too much, while also having totem running. So the lag makes itself noticeable by music interruptions. I then know “oh,oh it’s time to press CTRL+ALT+DELETE and quickly logout and log back in as long as I can still do it, i.e. as long as the system has not yet frozen”. But often I am in the middle of something so I do not feel like logging out just now, so I ignore that initial sound lag() only to find out after some minutes of browsing that suddenly my system freezes completely and I cannot even move my mouse while the HDD loads permanently and my system seems to ignore any keyboard inputs (but if you wait very long and are lucky and keep pressing CTRL+ALT+DELETE, the log out box MIGHT appear…). I think that’s exactly also the problem that the other person, Adam, most probably had been experiencing, and hence the need for some “rescue logout option”. Clem – The fix is rather easy and has been around for awhile now although it is rather difficult to find. Personally, I think it’s rather ludicrous that it still exists in today’s desktop type distros. We’ll take Ubuntu for example here since it’s obviously the most logical choice. By default, Ubuntu is set to swap data that is usually stored in physical memory to the swap partition once 40% of total physical memory is used or when 60% of memory is left. This default is actually left over from when Linux was a sever OS only, believe it or not. The “vm.swappiness=20” simply tells the OS to swap data to the swap partition once 80% of physical memory is used or when only 20% of memory is left (hence the “20”). For the explanation of the “vm.vfs_cache_pressure” setting, please see the article. By the way, the “20” is my personal setting for my Linux Mint systems. You can actually set it to whatever you want. The article recommends a setting of “1” but using up system memory until only 1% is left is a little too close to the edge for me. This will definitely solve the slow down/freeze problems of Linux Mint (and other distros when no other explanation can be found. I’ve used this solution for years and it always works. The problem exists in other distros as well (Arch, Manajaro, etc) but where you add the two lines can vary depending on the base distro. Despite following the instructions in the blog, I can’t install Cinnamon 2.4 (no new updates found in the Update Manager). Are there some more steps that needs to be taken? If you’re running Linux Mint 17/Cinnamon then the instructions should have worked but it’s not uncommon to miss something, one small step for example, when updating to pre-release software of any type. Even for professionals. So, let’s do what’s called a “stupid check” in the world of computers (Heh, I had to do these rather frequently even though it was my profession). 1. Open “Software sources” and, if you have your Linux Mint and Ubuntu mirrors set to something other than default, temporarily set them to default (there’s a button for it–you’ll see it). 2. Ensure the “Romeo” check box is checked. 3. Click the “Update Cache” button. Once it’s updated, close “Software sources”. 4. Open the Update Manager (MintUpdate) via the icon on the tray. Once open, click the “Refresh” button. Once the refresh is completed, you should see one update listed for MintUpdate (the Update Manager). Install the update and the Update Manager will disappear and then reappear with a list of packages involved in the Cinnamon 2.4 update. Install the updates and once completed, reboot (you can probably just log out and back in but I tend to reboot just in case one or more of the dependencies requires it). If this doesn’t work then something is wrong and I’m not sure what it is. If you’re running the Linux Mint 17/Cinnamon main edition it should update to Cinnamon 2.4 if the above instructions are followed. Hello, Kirk. Thank you kindly for the reply. I figured out earlier today what the problem was; I had to set the main mirror to packages.linuxmint.com, and then it worked. Perhaps the instructions could be altered to reflect this requirement as well. For me the only issues with the old cinnamon was that I could not make the fonts bigger in the menu, and on the desktop, and increase the size of the scrollbars (all are a little too small for me). Other than this I really like it. Was a windows user but tried Linux Mint and have stuck with it. I had previously tried a few distros over the years including Ubuntu but always went back to Windows. Even my parents are using it on their PC and are liking it (font sizes may help them also). Fantastic update. I’m not a developer, but a video producer, and seeing Cinnamon really on par with Windows (and even surpass it, IMHO) as far as stability, rapid workflow and features is really encouraging. Thanks so much for all of your hard work in creating a stable, functional and user-friendly OS at a free cost. You all are awesome! Hi Clem and team! Excellent job! Testing now. One question: is it possible to change the font color on desktop (text icon). I have to use light wallpapers because the fonts are only black. Found nothing to change this. ANy idea? I remember this being reported when Mint 17 was released. I have the same problem, liking dark background more than lighter ones. Ideally, the font color on the desktop should always be readable, no matter what the background is. Don’t know how other DE handle this. I think Unity just uses a drop shadow on a light font to make it readable in all cases. This is probably the best option but would require the text to be displayed differently on the desktop and elsewhere. The text color on the desktop is currently controlled by your gtk theme. If your theme doesn’t properly support nemo it probably doesn’t look as intended. It all sounds lovely. I want to move over from Mate as soon as plausible. Unfortunately, for me that means after one little feature Mate has gets added to Cinnamon: The ability to put a taskbar along the side. With a wide screen, I really like putting my launchers in a side bar. Until Cinnamon will let me do that . . . well, I’m perfectly happy with Mate which is also good. What happened to the nice 60-50-40-30 second countdown feature for logging out and/or shutting down? System Settings > Preferences > Either add it as it’s own shortcut, or combine it with MDM ? or something…. This nice feature (at least to me) has always been a Mint identifier…..
Power settings -> set the action you want on power button press. mailligt – The count down option for Shutdown/Logout is either back or was not removed in the first place–I don’t know which. Either way, it’s now in Settings/General under the “Miscellaneous options” section. It’s unchecked by default of it was when I found it. You can set your desired countdown time as well. Note: I obviously have “Romeo” checked in “Software Sources” and was checking out the update to Cinnamon 2.4.1 when I found the count down option. So this option may have been added back for 2.4.1 but I could very well be wrong about that. In Cinnamon 2.4 the desktop icon font color is part of the “Controls” theme (under Cinnamon Settings/Themes) For instance, selecting “Adwaita” as your “Controls” theme will turn the font color to gray. Selecting “Hi Contrast” will turn the desktop icon font to black. Any of the “Mint-X-****” Controls themes will change the font to white. Is rdp (xrdp with whatever vnc server) going to work on this version? It is a show stopper for usage in enterprise with windows machines around. Network – Wifi: “Connect to a hidden network” has no shortcut (line 1739 in github). I need in cinnamon 2 of more thinks. I moved from Mint to Arch a couple of months ago, mainly to try out Gnome 3.14, and indeed my hatred of it has abated somewhat since 3 came and ruined all my workflows. This morning I noticed Linux Today pointed to a Softpedia favourable review of 17.1/2.4, so I installed 2.4 on Arch. Very impressed at the problem-free installation. It runs very well with about the same memory footprint as Gnome 3.14.
what happened with all this user they use lmde. they have to change to mint 17 until the lmde 2 betsy release?? I wouldn’t be in such a hurry, we’re still fixing bugs on this, Jessie is getting frozen, there’s a couple of regressions with GTK 3.14 and the new systemd. I’d recommend to stay with LMDE for the time being while Betsy is getting ready. When switching the sidebar view to tree view and back, some entries in the “Devices” category are displaced/displayed incorrectly. On mouse-over they display correctly again. Tested it on two different systems. Confirmed. In the left hand pane of Nemo, switching from “Places” view to “Tree” view and back again, the list of folders under “Computer” becomes corrupted. Running the mouse over the corrupted list brings them back to normal. This happens with “Effects” disabled and enabled. Makes no difference which. Clem – I should have added to my previous comment that my laptop is running the 32-bit version of Linux Mint 17/Cinnamon 2.4pre. I checked for the same thing on my desktop PC which is running the 64-bit version of Linux Mint 17/Cinnamon 2.4pre (Intel Core 2 quad using a Nvidia GT430 video card and the “recommended” Nvidia video driver) and this problem doesn’t exist on that machine. I’m not on that machine at the moment so I can’t you the same system specs as I did for the laptop. Of course, I have no idea if this is isolated to the 32-bit version, an Intel video driver problem or something else. Something tells me it might be an Intel video driver problem but I could be wrong. I can definitely confirm that it’s present on a 64bit Mint 17 system with an Nvidia GPU, so it’s not a problem with the Intel driver. It only effects mounted devices for me, though, so you might want to check if your 2nd machine has any other devices mounted. Dunno, but maybe it’s related to the small unmount button? This rarely happens, but sometimes when I click the tabs in the panel window list, Cinnamon thinks that I want to drag them (even though the mouse button is released already). Why do my comments and suggestions get deleted/not posted? I was supporting someone here on the forum regarding the logout timer. In my opinion, you should leave the logout timer as it is and not remove it. The logout timer has saved me from numerous system freezes. Thanks to the timer, I did not need to restart my system when my computer froze completely. And also: can you fix the following issue: When I install deb files, the installer starts and you can click on “install”..however, it then closes the window and after a while it appears again and then only starts actually installing…so can you make it install immediately without first having the install window disappear??? One thing I noticed was that the option to change the background is only measured in minutes. Could this be converted to a dropdown to allow selection of hours and days as well? That way, if you want your desktop to change every day or every 7 hours for example, you don’t need to work out how many minutes that would be. Minor thing but could help the usability of the feature. Make sure your source repositories are set to “default” – I don’t think you can get the Romeo updates if the repos are set to a local mirror. You can, if the mirror is up to date. There was a change with rsync a week ago though, so it’s very possible many of them aren’t in sync yet. An update to mint-mirror is planned in the coming days. I very much appreciate your work in building this Linux distro. Really excellent. One featere that I’ve long been looking for and already saw requested here is a ‘recent places/directories’ list. So many times I’ve closed a window and then had to click or type my way back to a sub sub sub sub sub directory. Sounds easy but maybe it’s not, or I’m missing something obvious. Oh yes, that would be great! Wow, 139 comments already. I didn’t manage to reply to everybody, but I’d like to thank you all for the early feedback we got on this. It’s the first time we get so much feedback prior to the RC, we’ve identified a few regressions on the roadmap, some of them are fixed already in Git and we’ll try to fix them all this week. Added release notes info for keybindings migration (coming up for people who didn’t upgrade yet) and extensions compatibility. 2. What about Pipelight to watch online movie streams such as Amazon Prime etc..in your roadmap you wrote “considered”, but in your last updates I do not see any mention of pipelight any more? 3. I wrote about some annoying bug when installing from deb files…when clicking on “install”, the installation boy closes and then it reappears after some time and only after additional loading it actually STARTS installing stuff…therefore, it takes longer than necessary to install programs and is thus annoying…could you fix that, maybe? 1. We rely on a daemon for this, we didn’t want to use that. Although the benefits are tangible we thought it wasn’t worth the resources. We can reconsider for 17.2. 2. Pipelight solves a special case, namely DRM in Flash (usually used in streaming websites, TV channel replay services etc.) but it’s not an elegant solution, far from it. It was considered because it solves a real issue we’re having but we don’t like the solution. There are alternatives and the streaming landscape as well as the technology used by these service providers is constantly evolving so I’m sorry to say, we’re seating on the bench for now and we decided to park this until 17.2. Regarding 1. (recent places): what do you mean by daemon? Is there a plugin or something that I can install somehow in order to have that function?? Regarding 3: E.g. take any .deb file (or for better demonstration reasons take a .deb file which is at least 20 mb). When you click on it, the installation dialog opens(after checking for a newer version first) and you can click on “install”. So instead of having the installation starting IMMEDIATELY and seeing the Installation progress bar, the installation window first disappears and you have to wait for it to reappear..and only THEN the installation progress bar is visible and the program is installing. Regarding 2. (Pipelight), OK I understand, no problem. By the way: Thank you for all your personal replies to my and other peoples’ suggestions. Although you must be very busy with all the projects and team members, I find it amazing that you take your time to communicate with your users. Due to this, I feel like I am using software that I and other people can help improve and shape. And that’s why Linux Mint Cinnamon is so amazing!Thank you very very. 1. The Power Manager applet ignores whatever I choose for the display setting (even after logging out and back in again) and remains as “show percentage”. 2. In Power Management settings, the screen still turns off after 10 minutes of inactivity even when I have set it to “never” and logged out/logged in. P.S. For the Power Manager applet I’d like the option that it only shows when the battery is charging/disacharging if possible. Following a clean install of Qiana and then upgrade to Cinnamon 2.4, I’m happy to report that problem 1 above has disappeared and it looks like problem 2 has gone as well. 2- The ability to add applets to the lower and upper panels alike (like on Mate). Because if you set the panel settings to classic (2panels) and try to add applets to the lower panel, applets will be added to the upper one. Please fix this because it is very annoying. Mint is still the best OS in the world though! Salut Brahim (I never realized you were French, just did now :)). This is already possible in “edit mode”. I’m having problems while copying big files (films that have 10 gb, for example) to my pendrive.. mint starts to lag…. i close everything… but the entire system starts to lag… after a 10-20 seconds (30s sometimes), is normal again.. then starts again.. its hard to explain, because of my poor english, but i’m willing to give more details, if you want. Let me know that you need. A detail: that happens before updating to 2.4 too…. I think it’s upstream from us and related to gvfs. I’d be happy to talk about it on IRC though if you want to join us on #linuxmint-dev. Not a really valuable info because I guess it’s not due to Cinnamon, maybe not even Mint, but I’ve had the problem since forever. When copying files to a USB device, the system is REALLY slowing, and it’s a lot worse when several copies are running in parallel. It can appear to freeze totally, but sometimes wakes up when the copy that was still silently going on is finished. For me, the problem was “solved” when I started using USB3, as the copies are quicker, but the issue is still there. On older computers, I have to refrain from touching anything when a USB copy is going on. You’re absolutly right. It’s not a cinnamon issue, not even mint. But i think that Clem (as team leader of Mint), can look forward to what can do to solve or, at least, report that to the Linux Fundation or something. I’ve just discovered the difference between window tiling and window snapping and came to the unfortunate conclusion that window snapping is totally messed up. I mean, try resizing 4 corner windows after holding the CTRL key and snapping 4 windows into each of the 4 corners of your screen…it will be a total mess and you will NOT be able to resize seamlessly without issues! RESIZING of windows while the 2 windows are in wondow snap mode seems to only work perfectly with 2 windows, but with 3 or 4 windows there are issues….So it needs to be fixed, please. but John, the reason you snap a window is to watch it on the side. That reduces your work area.. it makes no sense to me (although you can techically do it) to snap 4 windows on each corners. You’d tile them alright, not snap them. At most I’d snap 2 windows.. usually I only snap one (when watching a video) or none at all. Can you describe an example, a typicaly use case, where you’re snapping these windows? So you can work on your stuff in the first snap window, while watching music videos in the second snap window and having twitter feeds in the third window and something else in the fourth window that you need to keep an eye on. So suddenly you decide to increase any one of the windows SEAMLESSLY(like when you only have 2 windows), but then it does not work as SEAMLESSLY, but instead there will be some messing around and you will have to individually adjust the sizes of any windows through window tiling and make sure they do not overlap. So it runs counter to the nice snapping idea that can be seen when only having 2 windows. And to make it even worse, if you decide to quickly maximize one of the 4 corner windows, they will not be occupying the full screen but will either only occupy half of the screen or be in unmaximized mode…so there is some unpredictability on top of the issue I have described! by the way: You can only tile and snap totem to the top and bottom, but you cannot tile and snap it to the left or right side of the screen (and also not tho the corners!)! You can also see mtwebster’s comment below where he also describes this, in my opinion, unnecessary unpredictability regarding maximizing windows depending where you snap them. By the way: I have found a snapping bug regarding nemo and the terminal. To reproduce the problem, do the following. Open any of your main programs you work with e.g. firefox and snap it to the left or right. Then either snap the terminal or nemo to the other side(both programs have the following issue). So if you NOW MINIMIZE the terminal or nemo, our main program e.g. firefox will occupy the full screen. If you “unminimize” the terminal or nemo by clicking on them in the panel, they will again occupy only half of the screen and share the other half with your main program e.g. firefox. As regards the terminal and nemo, there are also issues when maximizing nemo or the terminal while they are in snap mode; To reproduce, do the same snapping that I have described above. Then click on “maximize” button of the terminal or nemo. They will NOW occupy the FULL SCREEN and when you then click on maximize again(so you unmaximize), they will NOT RETURN to snap mode but instead be in unmaximized mode, while your main program e.g. firefox suddenly occupies the full screen, although you did not do anything there. So it seems like when maximizing the terminal or nemo, they somehow break the snap mode of your main program. If you have 4 corner snapped windows, and try to maximize one, you end up with the exact same situation as if you have two windows side-by-side tiled as I described in my other response. It’s not bad, it’s doing exactly what it should. But as regards Nemo and the terminal, there ARE the inconsistencies/bugs I have described. You may want to reproduce the bug to convince yourself. Once you snap a window to any side of your screen and click on the “maximize” button of the window, the window will not maximize…in fact, there is no way to maximize that window…it’s damned to be forever either in snap mode or “unmaximized window”-mode…so here’s again something that needs to be fixed. The bug I have just described happens when you have e.g. 2 snapped windows… e.g. one window snapped to the left and one window snapped to the right. This bug does not happen when you only snap 1 window to any side. This is expected behavior – a ‘snapped’ window is considered part of the ‘chrome’ of the screen – like cinnamon panels, windows will not maximize on top of them. When you snap a window to the left, then snap a window to the right, and maximize one of them, the window doesn’t change size, because it’s already as maximized as it can be. This is further demonstrated by the fact that if you un-snap the other window, this window you maximized will *then* resize itself to fill the newly-empty part of the screen. THIS is just the unpredictability that I have described and criticised in my post a few minutes ago at 17:22 above. So in the end I end up in a maximize and tile and snap mess! I think there should be a uniform behavior when you maximize, otherwise there will be a chaos. It’s not unpredictable at all, the maximize code is trying to occupy as much screen space as possible, since obviously it can’t fill a non-rectangular space. The user can control it to a degree, when there is this irregular area, and allow them decide which sub-rectangle his maximized window will occupy. I think CLEM should look into this. In my opinion, what you are describing and I am criticising, is too much hassle. After all, Linux Mint Cinnamon shall be a very user-friendly and user-centric system, right? You’re missing the point – window ‘snapping‘ is precisely for carving out a piece of your workspace to keep a window there, and it is 100% intentional that maximized windows behave differently. What you want is simple tiling, in which case maximize works just like it always did. Just don’t hold down the snap modifier, and tile the window. Tile and snapped windows behave completely the same, with the difference being how maximized windows behave around them. No, I know exactly what window snapping is. And I also know what window tiling is and how to use each of them. And I’ve been talking about snapping all the time. ” it is 100% intentional that maximized windows behave differently.” Well, maybe, but apparently there is a better way. It would be good to get some input on this from CLEM and other users, as the way it is now is not practicable (see my comment above). I’m thus suggesting a simpler way. Window tiling is also buggy. For example, put nemo into the upper right corner or put it to the top of your screen (i.e. tile it to the top).Then click on maximize.What you will see is that ON FIRST CLICK on maximize exactly NOTHING WILL HAPPEN. By clicking on ‘maximize’ a second time, only then nemo will go full screen (as wanted). AND, when you click a third time on maximize in order to UNmaximize the window and make it occupy the top right corner(top right tile) or top half of your screen (top tile), it WILL NOT do that! Instead you end up with some funny 3/4-screen being detached to some totally different corner…so you don’t think this is a bug? JohnJ, I think the way snapping/tiling works is fine and there’s no need to change it. That’s my opinion, of course, but I don’t see any fundamental flaws with it. The bug you describe with Nemo does happen for me as well, however, and seems to be a genuine bug, so that’s something they might want to look into. It’s not limited to Nemo, btw, but every window I tile to the top (so it occupies the top 50%) will first “go into focus” and only on a second click will it maximize. This does not happen when tiling it e.g. to the side. Sometimes there’s a slight graphical glitch with the title bar, too. Windows snapping and tiling currently work very nicely; please don’t change them. For the most part, snapping and tiling works just fine. but otherwise works pretty much as expected. If you’ve snapped to the bottom, you want no other window to be taking up that space! This makes up a big part of why I use lm, for this powerful window management, don’t change it! Nice improvements guys, I’m really glad I have made the move to Mint after years of Windows, and playing around with Ubuntu. Mint is bar far the best Linux distro I have ever used. when changing font settings ( anti-alising ) back and forth a few times, going out of the control panel, reloading the control panel and again changing AA, hinting on off you can most of the time crash cinnamon. is there is a bug relating to switching pretty much any settings more than once or twice? Its not something most people do admitidley but it does from time to time appear for people who want to test what something looks like on and off a few times, perhaps then go out of the settings menu and back in to try on and off a few times. By the way: When Linux Mint 17 was released, you added a nice right-click option to uninstall programs in the menu (menu–>any program–>right click–>uninstall). And you promised to add more in Cinnamon 2.4, such as “richt click–>update program”. But in the current roadmap I cannot see any mention of that any more. So will this really useful feature be included in Cinnamon 17.1 (as updating via the terminal and synaptic is not as straightforward (especially not for newbies) as a nice right-click update feature)? I have noticed some “bugs”. First is the screen luminosity is always “max” when I switch on. So the tuning is not kept (it was before upgrade). Second one is, in Nemo, the size of the font changes from dir to dir. In preference, I selected 66% for list view (the only one I use) and I have a non constant behavior (I didn’t notice / take the time to identify something logical). Perhaps a storage of previous setting applied on old directories, but not sure. Nevertheless, still great pleasure to use Cinnamon. The update manager tray-icon doesn’t seem to change the anymore when new updates are available. This happens on both of my systems that are currently running 2.4. It seems limited to my NVidia system. On my laptop, which is using an Intel GPU (HD4000), I’ve not yet encountered it, but might test a bit more. Wasn’t aware as I check on a daily basis now. Maybe this happens because everytime updates are available they’re not ‘ticked’ (to be installed). I have to tick them manually. If this is what happens the next question is : why isn’t anything ticked anymore like with the previous cinnamon version ? Clem, is this a buglet ? If I rename a folder with Nemo, the Name of the folder moves in the top left corner and is not behind the icon. After applying everything is in the right position again. Also happens to me when I use compact view. Wifi wpa(enterprise security-name and password) seems to be broken. I click arrow button but cannot log in. Free wifi has no problem though. Keeping the shutdown timer was something i asked for ages ago im really pleased it is there. however for perfection perhaps you can have the best of every world.. off/on/60secs is what is current, perhaps in future a controlable timer is an idea: off/on/30/60/90secs etc..
thanks for being open minded and keeping this feature. Great work so far. I look forward to testing this new release. Every time I search, I have to right click and add that column and then click on it to sort it. PS Hope you enjoyed Ireland. Applets update : textual oddity. When there are updates for applets there appears a button stating how many can be updated. In the popup-window the question is “Update selected” although you don’t have to select anything to update. When my system returns from suspend mode, I have sound latency. The same goes for when I leave my system idle for a longer amount of time, I get sound latency when scrolling through websites. This was reported first by JohnJ, but it’s nested a bit, so I thought it might help to have it here, too (it’s not about snapping). There seems to be a slight oddity when maximizing windows that have been tiled to the top half of the screen. Every window I tile to the top (so it occupies the top 50%) and then try to maximize, will first “go into focus” (it regains its shadow) and only on a second click will it maximize. This does not happen when tiling it e.g. to the side. Sometimes there’s a slight graphical glitch with the title bar, too, which is caused by moving the mouse in between the two mouse clicks. Like the new cinnamon a lot! As others I had problems with crashes, and cinnamon only starting up in safe mode because of incompatible desklets and applets; I think this really should be fixed, because the trouble shooting involved is not possible for average users. Maybe disable all third-party desklets/applets on upgrading; and offer only 2.4 checked applets and desklets as online desklets. I also had a cinnamon starting up normally, but very slow. Solved after disabling several desklets and applets. (don know yet which one caused the slow-down, sorry). When trouble-shooting I also accidently deleted some cinnamon.org desklets; what is the correct package to reinstall these? Actually I don’t think Cinnamon should be crashing due to a faulty applet or desklet. If I install GmailChecker through Cinnamon Settings (an applet I know is broken) when I attempt to add it to the panel I get a dialog telling me there was a problem and the applet was disabled. If an applet fails to load when Cinnamon starts it should be disabled and a notification is shown telling you of the issue. Sure could be done things, but will be good have a list of applets desklets and extensions that can not start… There are a lot of improvement on this area, but there are errors inside of non cinnamon components this error are more difficult to be controlled (but are a few) not controlables yet… This could help to find the components and thinking on a solution, but for the 90% of problems now cinnamon reacted excellent. From the code it seems that it’s in GSettings, org.nemo.extensions.nemo-terminal. Use dconf-editor to get there. Column-view, like in Mac OS X Finder, Merlin, Pantheon-Files. I am update the chimmanon, but couldnt understang how the nemo-emblems and colors workin. Could you explain. add a thumbnailers in nemo please! What about panel “intellihide” option!! It gives us more space on the screen, doesn’t it? When will the return of the mp3 preview with mouseover …..
Cinnamon currently doesn’t seem to play nice with Steam. Whenever I have a pop-up from Steam (e.g. from a message I just received through Steam’s chat function), most desktop elements (everything inside the pannel, hot corners) become completely unresponsive for as long as the pop-up is on the screen. Windows keep on working, so I can use them as usual, as long as i click them directly instead of through the pannel. This happens with my main pc using a NVidia card with proprietary driver. To specify this a bit, I’m running Mint 17 64bit + Cinnamon 2.4(.1). I checken on a laptop with Intel HD4000 graphics and same software setup, it happens the same on this machine, too. The default color of Cinnamon or Mint (in general) is mostly grey. Is there an option to change the color of the window borders and taskbar without changing the theme? An option like there’s a box that I have to select a color of what to use for the window borders and taskbar (a feature I missed from Windows). Is there any plan to add option to merge menu with title bar? That feature will be very useful for laptop becuase 16:9 ratio display is very narrow vertically. does cinnamon support 21:9 displays ? Some people here suggested a recent places feature. I personally would also highly welcome such a feature for efficiency reasons. Can you add that into Cinnamon, please? I requested or this feature earlier (along with files)…Got the below response from Nemo development team. I forgot to mention that I a talking of the recent places feature to be in the menu and not nemo. By the way, when you copy and paste files by using the ‘copy to’ or ‘move to’ feature of your right mouse button, there is also a recently opened folder…so it is already feasible to do this. right-click on a file–>’move to/copy to’–>’browse…’–>’recent places. There you go. Just as a proof that this feature is already feasible and part of Cinnamon. They just need to put this feature in the menu (and not hide it). That’s it. That should not be a problem, I guess. I’ve posted a few lines before here but I have never taken the time to thank you properly for all the hard work you’ve been having in order to make Cinnamon such a magnificent desktop environment, even being it such a young project. Kudos to you! I would like to call your attention to the navigation and accessibility using the keyboard. My practical example is about being unable to enable the touchpad using only the keyboard, and I think this navigation issue around the settings (and perhaps other parts of Cinnamon) would benefit from some care and attention in order to make Cinnamon more usable and user friendly. I’m bringing this up because if I have my touchpad on, it will interfere massively on my typing abilities and productivity, because I’m always touching it inadvertently, changing the cursor position and start typing in the wrong place, or selecting text unwillingly and typing over it, touching buttons I didn’t want to and have annoying random unwanted behavior, etc. So in order to avoid all this, I turn the touchpad off. But when I use the laptop to watch some movies, I don’t need the mouse; or when I travel with the laptop I might not bring or forget the mouse, or every once in a while the wireless mouse’s battery will drain off. In any of these situations, I lose practical access to the computer because I don’t have any pointing device enabled and I am unable to navigate properly. So, Clem and Team, could you please pay some attention to the navigation around Cinnamon using the keyboard? I cannot login wpa/peap/tls wifi. There is no setting window on networking. I’m not sure if I understand your problem correctly, tbh. There are several ways to access the network settings. You can open them from the tray symbol by clicking on it. You can open the settings by right-clicking the pannel and choosing “All settings”, then navigate to Network there. System monitor looses it’s scales/grid so there’s no reference line anymore. Every menu in Chrome 38.0.2125.122 (rmb, bookmarks etc.) seem to have the same foreground-color as the background when hovering over it. Maybe both are related and worked fine before. Doesn’t seem theme related, but could be wrong ! Are you using the Mint-X themes? I’m not seeing that issue here. I seen you usually answer people’s questions, but my question many days ago in this forum was left unanswered, I will appreciate your help. Any way to remove dependencies without removing cinnamon? For example, removing bluez and everything related to bluetooth is impossible right now, but my computer doesn’t even have anything on bluetooth. Usually I try to remove programs that are not needed in my computer (for example, I don’t like Totem, it shows huge icons in my computer (some GTK problem), but in many times i do this process of removing unnecessary programs, the package manager warns me that this will remove cinnamon. What it’s not currently possible it’s because if you don’t add the dependency, then the bluetooth applet doesn’t will work for people that have a bluetooth. They will need to install manually the packages, an a not expert user can not do this alone. The Cinnamon desktop, is for not expert user. Then? On linux it’s considered an error not add a dependency for a packages of an application, that use this dependency. The bluetooth applet it’s not cinnamon and you can think that it’s not necessary have this dependency as a global one. Well, then where is the correct place to put the dependency then? Clear that this will be the bluetooth applet, but wait, this is not possible currently, because applets, desklets and extensions, don’t have a way to add dependencies. Ok, not matter will be added this option then? mmm Cinnamon is used on several distros at the same time, then how we can specify dependencies for different packages depending of the distro? there are a way? Yes there are ways to do that, but clear is complex, and depend of the support of the distro that you use, not only of cinnamon. I hope that you understand now. when resizing Software Sources window, its scale up and never scale down! Haven’t used Mint in a while but I have to say it looks pretty slick. Personally, I like the fact that Mint is differentiating itself from GNOME somewhat, mainly because GNOME seems somewhat too simplistic right now ( I liked, and still do like, GNOME 2.3X better) and some of their UI concepts seem to be copied from Mac OS ( that’s what it seems like to me anyway ). Keep up the awesome work! I can totally see Mint and Cinnamon dominating as the top distro/UI in the coming future. Hi, Can anyone tell me why – when printing in Libre Office on a Brother DCP 197c – in Mint 17 I get a ‘unable to access the Printer’ message – even though the printer then prints? Obviously it’s not a real problem, just a spurious error message, but I’d like to get rid of it because until you’ve closed the error window, nothing else works. Is Nemo’s search functionality going to be improved as well at some point? It is horribly slow. I have changed mint 15 for mint 17, I am not sure that the simplicity is there. There is absolutly some graphic improvments, but some other aspects don’t improve the using. Apologize my english, en un mot in french, d’indéniables amélorations graphiques mais en même temps une difficulté à retrouver des façons simples de retrouver par exemple les données d’origine quand les bidouillages ont conduit à perdre certaines fonctionnalités utiles. Rendez simple ce qui est compliqué pour un non initié. C’set là que Linux devrait aussi s’atteler au plus vite si on souhaite que ce système fort intéressante trouve un réel écho. Sinon à quoi peut-il servir? I’m running Mint 17 and couldn’t wait 17.1 release (end of month). Should it works (RC to release) when 17.1 release official release will be out ? Only updated deb on Rebecca repos should be applied ? I’m impressed with the level of progress Cinnamon is made since the last time I tested it. Unfortunately for me I can not use it yet, but this is got to do with the underlying Gnome Shell technology being very sluggish (Any desktop click seems to lag forever, but applications run fast, transparencies make things lag even more) on my hardware, and not Cinnamon’s fault. I love the window management,the not too aggressive desktop effects, etc. If there is anything I would improve is the window list gadget, when using two panels (top and bottom) I like to use the old school Gnome 2 style: menu bar at the top and window list at the bottom, but as soon as I move the window list gadget to the bottom toolbar it centers the windows buttons, I would add some configurable settings so the window list grows from left to right. But other than that, chapeau! I think you’ll have to place it on the left side of the bar. It consists of 3 parts : left, center and right. I had the same problem until I saw these segments. When you enable panel-edit mode you’ll see the center part being greenish. Drop/Drag the gadget left of it. Echo LOVE LOVE for yall’s work; great stuff. I encountered a serious glitch on install that you might want to know about. I changed the User/Admin password but had not logged out before installing 2.4.1. After restarting my computer and logging back in there was a popup notification asking me to enter my keyring password as it did not match my user. To my dismay when I went to select the popup I realized that, while I had mouse control and could see the system load, I could not click on anything! Ctrl-Atl-Back to try again, same effect. Uh oh, I thought! *Reboot your computer / Turn your computer on. *Press ESC at the GNU GRUB prompt. *Use the Arrow keys to highlight the line that begins with kernel (“linux” on my system) and press the e (“f10” on my system) key. *Press Enter and then press b to boot your system. I concur with a post earlier on – I cannot uninstall bluez or pulseaudio without uninstalling cinnamon. Does cinnamon really need these dependencies to function? Reminds me of KDE! Apart from having files/features I can’t remove (not the Unix way) everything is all good and an awesome bit of software you have produced! I am a newbie, using Mint 17. I like the Cinnamon desktop. Good job! clem said that they will release an updater by end of november (so it should be out soon). Well done! It seems to be very stable, for now. 2.) apply the (user-defined) Default font to the Panel? I know I can do this in a “local” version of cinnamon.css, an I’ve done it in Qiana, but the setting doesn’t always work. If I’m understanding what you want correctly, you can set the font for items on the desktop under Settings->Fonts. There is a “Desktop font” setting. As such most of the people using Linux Mint 17 cinnamon have screen tearing in totem and firefox flash. Even for people using Intel G31 cards like me.. But the same card work flawlessly in ubuntu 14.04.. This is an extremely irritating serious issue.. Has it been solved in this release?? Feature Request: PLEASE add an optional search-as-you-type filter bar at the bottom of nemo file browser. I used this extensively in Dolphin, and would like to be able to switch over to Nemo. I’ve seen several others comment on this desire as well. Thank you! Does this new version finally support dual monitor panels (one panel on each monitor)? And change that so it says Meta.disable_unredirect_for_screen(global.screen); instead.. you can use the search to find them. And now unredirect will always be disabled at boot. is there a possibility to upgrade from “Quiana” with its “update-manager”? and when will it be. at december? Yes it is possible. The release will be at the end of november. Could be anyday from now. Thanks for the upgrade – just blew cinnamon out of the water. at least the basic desktop icons are there so I can access a terminal. And with the weather coming on I can still access my conky scripts. just not the rest of the OS. Once again thanks for doing, then documenting. i m on LM 17 and i have updated my system couple of time since last week and still i m on cinnamon 2.2.16.
is there anythng wrong ? sahil, this is normal. There’s nothing wrong. The update hasn’t been released yet. Only for testing. How do you change the system icons? How can change icons of the issues? It appears there is a regression in the DNS options in 2.4. In the version of Cinnamon 2.4 available to Linux Mint 17 via the “unstable” repository, it’s not currently possible to add custom search domains to the DNS settings for a wired interface. This is/was possible in 2.2.x. If I drag a favorite shortcut in the menu to another place (also in the menu with favorites) I’ve got no access any more to the menu. It just stays there on screen. I have to push the menu-logo again and then I have access to the menu after it dissapears and shows up again. Maybe I am the only one with this “problem” (I am always a lucky guy) but I thought I let you guys know. it may not be important but i wanted it to report. i have installed cinnamon 2.4 on lm 17 but following package caused conflict syslinux-themes-linuxmint-cinnamon-petra and hence package syslinux-themes-liunxmint-cinnamon-rebecca is not installed. Now when i close banshee from sound aplet. banshee isn’t closed and UI doesn’t comes up. (tried to start from menu, sound aplet and terminal none worked). it is required to kill it manullay to start again. Just upgraded 4 machines without problems, brilliant! I love some details like the folder color switcher. One question though: would it be possible to implement a custom color in the list of available colors? People can be picky when it comes to themes and I myself am not entirely satisfied with the proposed choice of colors, so it would be great for a truly customisable system! Thank you for considering this and for all the work in general! There was a problem loading the selected item, and it has been disabled. Check your system log and the Cinnamon LookingGlass log for any issues. It just means this extension is not compatible with the version of Cinnamon you are using, probably hasn’t been updated. You should wait for an update or try to see how to modify it yourself if the developper isn’t doing it. It looks nice, but takes considerably more vertical space than the previous one. For comparison, Ubuntu font size 10 is using less space than Noto size 9. Not sure it’s really a problem, but as the current trend is to try to maximize usable space on screen, it might be worth noting. And by the way, thank you for making it so easy to change this and other settings. I agree about the Noto fonts taking up too much vertical space. Although in Preferences..Fonts I have set everything back to “Sans” it appears that the Panel (and possibly menu) fonts are still Noto. This is actually a deal breaker for my mother since the panel items are harder to read for those with poor eyesight, in particular: “Menu” on left, charge-level and time on right, and the text for the task button labels which is less strong in Noto. Upscaling the taskbar is not useful since it has to be really big, with a lot of top-bottom padding space, for the fonts to be as readable as they were in Mint 17. Also the mint menu text is less readable. It appears that cinnamon.css edits are ignored in Cinnamon 2.4. Any chance someone could post a workaround? I’m quite happy to hack around some files. The Noto font is nice in bigger sizes but it’s very condensed on high res displays and alse seems to have too much vertical padding. I have Googled and searched for a way to turn off, the popup text when you point to an item on the panel in Cinnamon 2.4.5 and I can’t find it. I thought I have stopped it on past systems, but I can’t remember. Please advise. Posted to LM Forum yesterday and no replies, yet. Thanks! Would it be a change in the panel section of the cinnamon.css file for the theme you are using? how do we turn off tooltips in Cinnamon 2.4.
is cinnamon 2.4 sill not in respository ??.. cinnamon 2.4 crashes with linux 3.18 kernel (using linux mint 17.1). is there any solution to fix it? my games are finally very smooth no tearing and no mouse lag ! running nvidia with 346.22 beta also. This is the best gaming desktop for linux now imo. the Asus Xonar DX doesnt work either. it used to work in earlier versions of mint i think it stopped at around mint 15. Don’t know where to add suggestions, but when Cinnamon does things like Expose or shows mini-windows in the all desktops show mode, it would be nice if the representation of the windows were at least somewhat like how they are laid out in the full view mode of the desktop (meaning, your regular desktop view.) Currently, sometimes if one window is on the left and the other is on the right, in “show all windows” (Expose) or “show all workspaces” mode these can end up switched. A minor detail, but would be a nicety I would think. That said, great release and appreciate the effort. whem i’m working with two sticks to move data between them the system is freezing for 1 minute and after that start working again but after the change to the default wallpaper. i hope that this bug will be solved. I can confirm this. Also, the “No WLAN after returning from suspend mode” issue commenter Tony keeps raising seems to be fixed in kernel 3.16. I found these links, hope this will help. Please do something about this problem that did not exist in previous versions of Linus Mint. Once again thank you for your hard work and beautiful operating system. Hi ! Great job ! I notice a bug in calendar, week number are false from the 13th (2 times). Another thing, how to know the current theme in use ? I’m writting an app to customize the desktop (ex: main menu police size). Wow, seems you had quite a bit of bad luck with 17.1. I didn’t encounter any serious issues with my two installs (one on a desktop and one on a Thinkpad E330 – although that one has some issues from Intel graphic drivers and MDM not always going together all that well, nothing huge though), especially your problems with the repositories/software manager sound weird. I did see Cinnamon switching back to the default background once or twice, so I guess that might be a genuine bug there, although I can’t pinpoint it to anything (and as I said, it happened not very often so far). One thing I can somewhat relate to is the handling of extensions. Cinnamon 2.4 brought quite some changes that made several old extensions incompatible with it. Unfortunately there’s no way to find out except for trying. That’s definitely something they might improve upon. Considering your issues, I think you might consider a reinstall of 17.1, in case something went wrong there. Of course, some problems might also be connected to your Broadcom problem. when I try to move items between folders (over 50 -15 GB) Nemo is freezing and after some seconds is crashing. if I need to shutdown, the system tells that Nemo still try to move the items. I also have this freezing but normally it doesn’t crash. The progress-bar shown when copying/moving is not very helpful as well since it mostly stays at a couple percent for a while and the jumps ahead, stalls again, etc. Something doesn’t feel right between the gui and the actual file(system) actions. Happens when copying locally on the same SSD or to a platter-drive. Network copies act the same. Mostly I just wait a while and it will be done but never a clue where we are in the process. when i try to put a system on usb the entire system is freezing. @ dd but it still writes, it just doesnt show a percentage and freezes the system. If you leave it 5mins your back to a working desktop. anyone else go sporadic frame rate drops on the desktop ? Also .. pulse audio :( pops and crackles over headphones from onboard analgoue or via hdmi even when just moving around windows on firefox where no audio is involved .. highly irritating. However to remove Pulse .. Why is there so many dependancies linked ?????????? you remove pulse, you remove the whole system. Putting pulse back on is a pain in the arse. There should be Alsa installed ( if it isnt already ) changing Daemon.conf to 0 / 0/ to force Alsa … Alsa doesnt actually kick in at all ? There should be an easy option to select the backend just like in KDE ( or even maybe earlier versions of mint ?) Alsa/Pulse perhaps gstreamer,VLC etc..
@mrman: I assume you are on Linux Mint, meaning ubuntu. Try the lowlatency kernel instead of the default generic. Why the lowlatency configuration is not the default is beyond me. There is literally not a single usecase on a desktop/laptop/AnythingWithUserInteraction where you would not want to have low latencies. A valid exception is large compute servers, that’s all. You have a Distro which uses a kernel which is pretty optimized for large compute clusters. Isn’t that great? It’s the default config almost everywhere and it’s completely insane. guys at linux mint, Well done this is one fine distro. beats the Sh!t out of windows,osx,and Android. I’m using Cinnamon on Ubuntu 14.10 and I’ve been having trouble ever since. The problem is that if I have a large number of open windows, the panel will show all the open windows as blank and some of the open windows won’y show anymore. I’ve noticed that this happens also when I have an open window in fullscreen on a second monitor and switch between desktops. Hi, can you open a bug report and post some screenshots if possible? I apologize for the multiple posts. I’m not sure if this is a cinnamon issue or a mint one. I have two monitors, side by side. After random amounts of time, the secondary monitor will cease to refresh/draw anything. For example, if I drag a window so half is on each screen, it will not display on the secondary monitor, only the first. Nothing is refreshed on the secondary monitor. I can kill the windows on it through a terminal but the screen doesn’t redraw. Any thoughts? I have the Nouveau driver running and 2 monitors and have never seen what you describe. Running latest Mint Cinnamon (no ppa). This machine runs 24/7 so I should have seen something like that. Maybe a driver issue ? Hi, I installed Linux Mint Cinnamon for the first time a few weeks ago. I just left my job at Microsoft after 20 years and never had a machine with a dedicated non-Microsoft OS. The Linux Mint Cinnamon OS install only took a few minutes, and worked with my 3 big monitors with the default install. In the few weeks since installing, the UI and rest of the system has been stable and everything has worked well. Great job on all the components including GNU libraries, kernel, drivers, file system, package manager, CUPS printer drivers, Mint, and Cinnamon! maybe but this is not normal and the bug should be fixed. nemo still have problems in moving items. nobody have time to fix that? please tell that! Hi, I’ve been using Mint 17.1. on three different machines and have been experiencing a bug, which I think is in Cinnamon. Sometimes when I insert new media (DVD or USB stick), Cinnamon apparently has trouble recognizing it and hangs/freezes for 60-120 seconds (mouse cursor moves but clicks are ineffective.) When the hang/freeze ends, the mouse click actions are completed and a notable side effect is that my desktop background is changed back to the Mint 17.1 default. I’d appreciate any advice on dealing with this (or advice on anyplace else to look for help) Thank you. is it possible to turn of notification when in full screen? I dont know if anyone is watching this but: i just installed on a freshly formatted hard drive Mint17.1 with Cinnamon to try as a full time installation. I have used onlY MATE since last August when it came out in mint17 no troubles at all. But I have encountered repeated shutdown/reboot usually , but never the less it goes away and comes back. no idea why. I had been getting a mouse cursor hang up with my Logitech wireless mice 3 of them each had the same hang/freeze just before a non intended reboot. I added Solaar after doing lots of research on the frozen mouse issue. i am using the built in graphics drivers since amd isnt doing much for this ‘legacy’ card. i have an even older toshiba laptop with amdx1200 in a MATE environment and it is older by 3yrs or more , no troubles at all since i put it in. this amd/ati 4670 is far more powerful 1gb of gddr5 built in. i do not expect this to be a gpu failure but the linux drivers confuse me. i think the crash/reboots are still connected to the mouse cursor thing but am just a total novice in linux all my experience in total began last august barely 8months. 1-‘nemo’ does NOT accept ‘Paste’ if file was ‘copied’ or ‘cut’ from ‘Dolphin’. I use Dolphin as my main file manager under cinnamon as it is 100 times faster then nemo when displaying directories with 500+ files. Also nemo does not have the ‘preview function’like Dolphin or Konqueror. 2-Will nemo ever accept past from Dolphin? 3-When you click on (cinnamon desktop) ‘Computer icon’, all Devices are listed, but if you right click on any device it does NOT offer ‘open with option’ and can only open with nemo, even if you have specified a different Default file manager..